If you can't get enough of spicy heat, then this curry is for you! 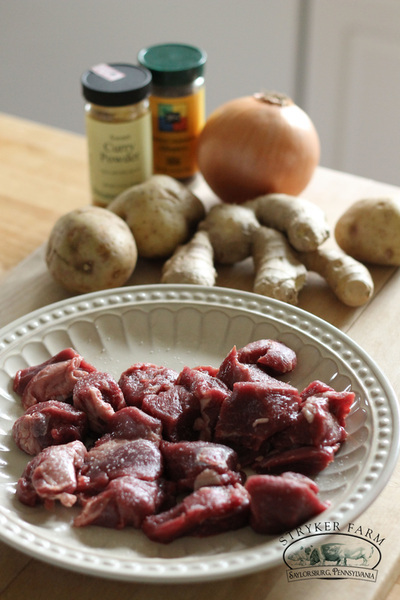 Jamaican style curries often feature goat or lamb and stew them for long periods of time to render the meat fall apart tender. 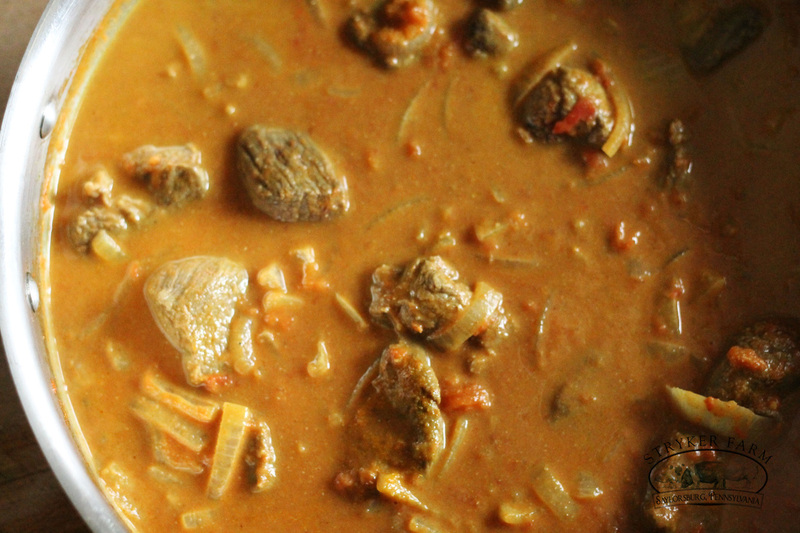 Prepare the curry in a large deep pan by heating the coconut oil and adding a TBSP of curry powder. Allow the curry to become fragrant a minute or two. Pat down the goat cubes, salt them well and add them to the oil, browning each side. Make certain not to overcrowd the pan. If you don’t have a pan that’s big enough, do this step in batches. When the goat cubes are browned remove them from the pan for the time being. Stir in the chopped onions and pepper. Scotch bonnet peppers are traditional in Jamaican cooking, but are harder to come by in PA. Habaneros are a good substitute, but exercise great caution when you mince these little devils. They are extremely hot! If you don’t care for heat, omit the pepper completely. Brown the onions and pepper for about 5 minutes until the onions are translucent. Add the minced garlic and ginger and cook for a few minutes longer. 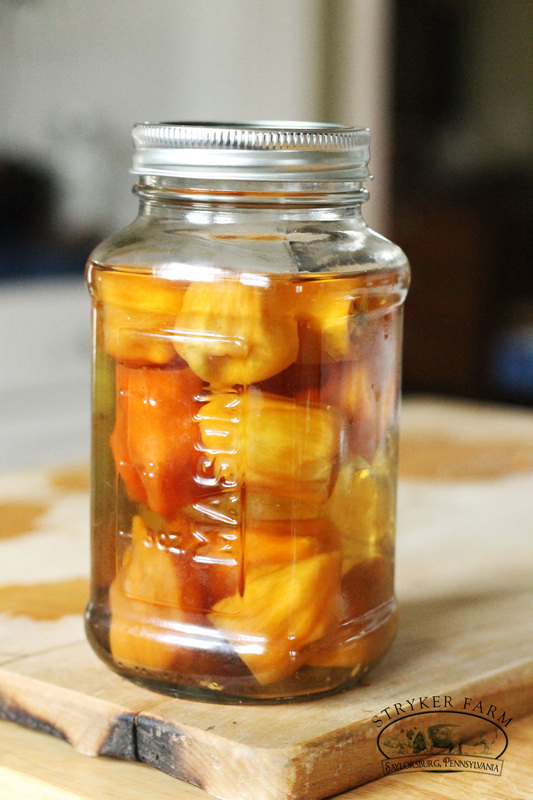 Turn down the heat to a simmer. Add the meat, coconut milk, tomatoes, and water to the pan with the vegetables. Stir in the remaining curry powder (and allspice if you need it), some salt and thyme. 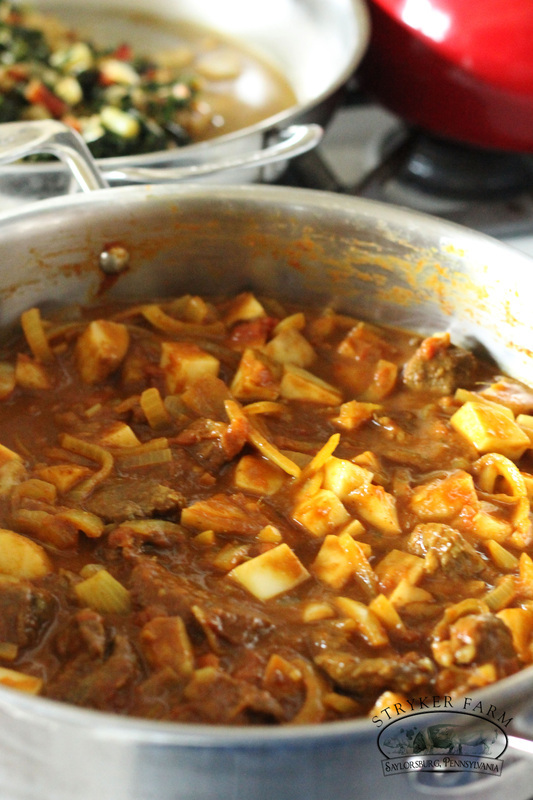 Allow the curry to simmer uncovered for at least 2 hours allowing the meat to tenderize and the curry to thicken. At this time you can prepare a side dish of greens. Traditional Jamaican greens are made with callaloo, but we can substitute something similar like collards or swiss chard. 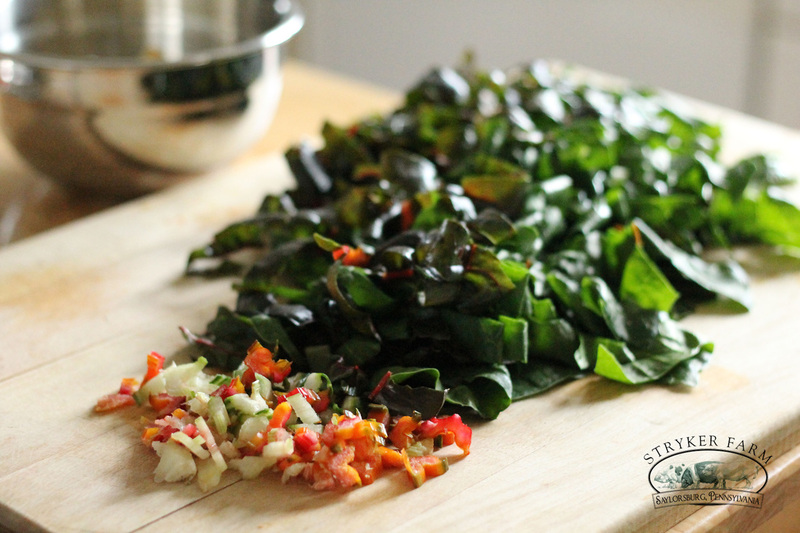 I chopped up about 5 cups of chard, stems too! In another pan, melt the butter and add the onion. Allow them to cook until they are translucent then add the chard. Coat the leaves with the butter. 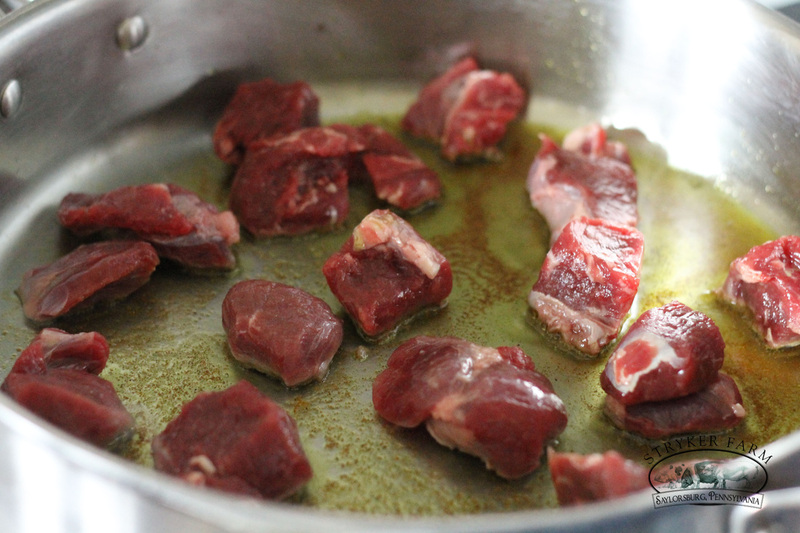 Add about ¼ cup of water to the pan and allow the greens to cook and wilt. Chard doesn't take too long to soften, so turn the heat off when they’re at a desirable doneness. 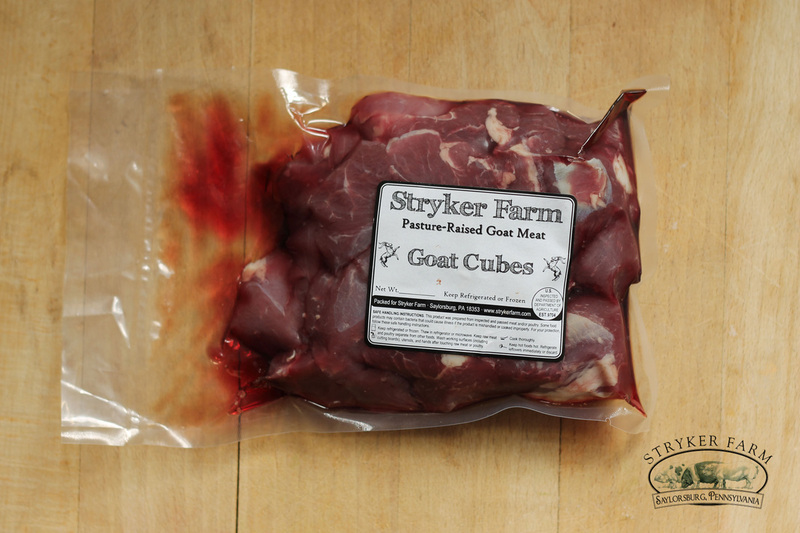 Test the goat in two hours to to check doneness. The meat should be tender. If not, add a little more water and allow to simmer for additional time. 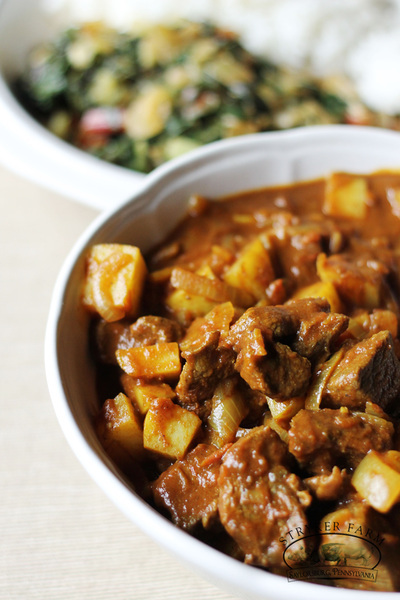 Add the potatoes to the curry. The curry should be ready when the potatoes are tender. 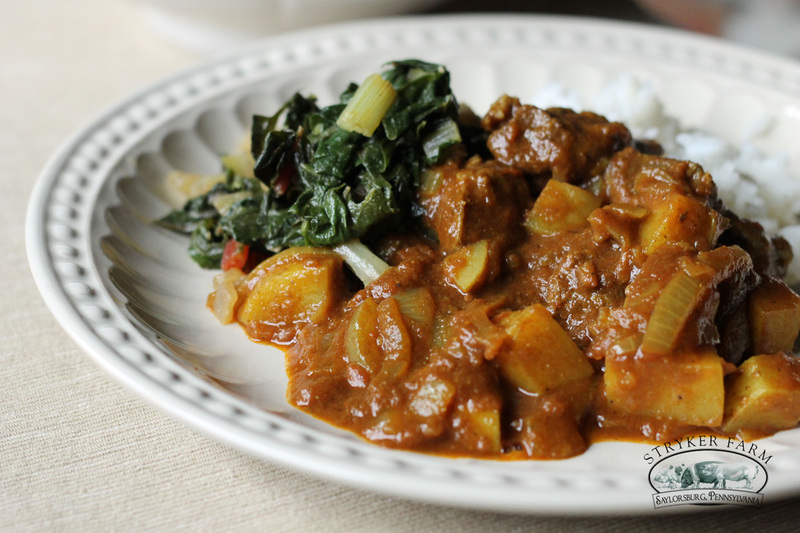 Serve with a side of rice and greens and get ready for a super spicy curry!